TL;DR: Three cloud computing trends we’ll see in 2019 are new public-hybrid cloud options like AWS outposts, acceleration of a cloud-first posture and the rise of serverless architectures as containerization continues to grow. 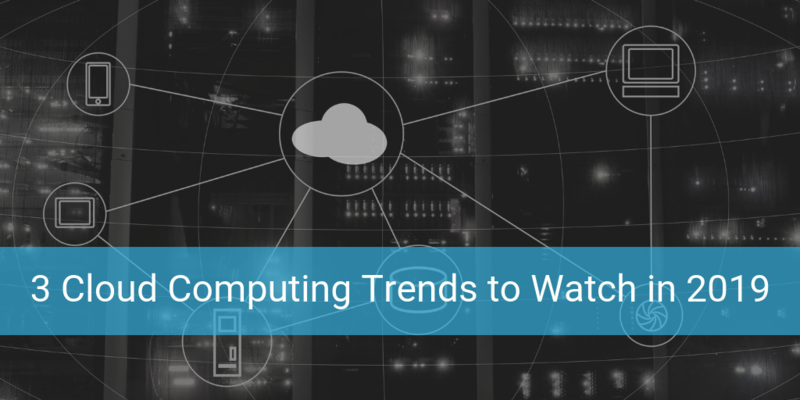 These three cloud trends are very exciting. Concurrent with these three cloud trends for 2019 is the growing awareness of the need to instrument the cloud with packet-level access, visibility and control in order to keep security, monitoring and compliance goals growing apace. 2019 will be an incredible year for cloud computing. Nubeva Prisms is the critical infrastructure that will help keep you secure. What’s in the cloud? More and more enterprises, that’s what. As the people in charge of data networks and security continue to migrate applications to the cloud, 2019 is sure to be a hive of activity including many new technologies and services. With this in mind, here are three trends happening now that everyone should watch in the coming months. With Outposts, cloud becomes more about services and a sound operating model, and less about where the infrastructure resides. In the past, public cloud providers shared their vision of “cloud as final destination.” With the introduction of AWS Outposts, cloud becomes more about how data and computing services are provisioned and operated at scale to accelerate innovation – and less about where infrastructure lives. Outposts also gives the enterprise a new path to full cloud migration by running an AWS environment with more control and visibility. If Outposts doesn’t provide access to Layer 2, Nubeva Prisms can assist, providing the access, visibility and control needed for packet traffic streaming on this new hybrid cloud. For organizations with strong confidence and proven applications already riding on public clouds, adopting a cloud-first strategy for all IT decision making will become the norm in 2019. Cloud first is simply a tech philosophy designed to maximize AWS and Microsoft Azure as a core business strategy. Cloud offers organizations the ability to keep servers up no matter what, so critical business operations aren’t using up valuable resources for maintenance, updates, upgrades and infrastructure expansion demands. As cloud migration becomes the norm, organizations will demand simplicity and high-performance that matches their experience in traditional data centers. That means moving security to the cloud, which means tapping a solution that provides the right level of access, visibility and control of critical packet streams. While no longer a surprising trend – 83% of enterprise workloads will be in the cloud by 2020 – how to best manage this digital transformation is sure to remain a hot topic in 2019. The next trend to watch is the all-out adoption of containerization – using Docker, kubernetes, containers and a micro services architecture. The smaller and more containerized applications become, the easier it will be to deliver updates without impacting the entire system. What’s it all mean? Companies will begin to or accelerate blowing up their monolithic application designs and code stacks. They are accelerating the creation of new micro services architectures designed to run in containerized environments. This re-tooling will be followed by serverless compute capabilities. Serverless means the enterprise IT team can simply run a slice of code without spinning up a database, app server, or web server to execute it. Just like line manufacturing developed a better way to mass produce products, serverless capabilities will create efficiencies for the enterprise – enabling IT to get more done with less time at a lower cost. It’s already happening with AWS Lambdas and Azure functions. These rapid and exciting evolutions in networking and DevOps must also bring evolutions in security, monitoring and access. Applying security and visibility solutions to these ephemeral environments is still a tall task that many cloud architects are just realizing. Nubeva can answer the question of, “how do I monitor, acquire, process and distribute packets needed for these serverless functions.” Click here to learn more.